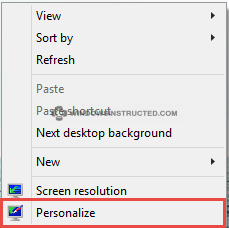 If you wish to change the color of your start menu in Windows 10, or want to change the color of the task bar or perhaps the color of your Application borders then you can simply do this by going to Personalize and use the color mixer to choose your own colors. We’ll help you get there! Colors are synced between your devices. 3. You can now choose any color you like, if you want more options, simply click on Color Mixer and you can mix your own colors!